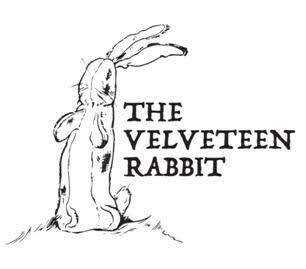 The student production of The Velveteen Rabbit is live on stage October 6-15 at Ocala Civic Theatre. In this poignant stage adaptation of the beloved children’s classic, a young woman looks back on her childhood in an emotional journey through time. By reliving the relationship between her four-year-old self and her favorite toy – the velveteen rabbit – she rediscovers the true meaning of friendship. This profoundly moving play explores powerful themes of loss, loyalty, and love as the old rocking horse teaches the velveteen rabbit what it means to become real. The Velveteen Rabbit is directed by Melanie Tarter. Stage manager is Dakota Brown. The show is presented by a cast of students ages 6-13: Sarah Beville, Gunner Boyd, Katelyn Gabel, Ireland Grantham, Daisy Jones, Kaleb Kornegay, Hallie Miller, Harlem Nation, Graham Rogers, Miles Rogers, and Morgan Vanderlaan. Saturday, October 7 at 11:00 a.m. and 7:00 p.m.
Sunday, October 8 at 2:00 p.m.
Saturday, October 14 at 11:00 a.m.
Tickets go on sale September 11 at $10 for adults and $5 for full-time students (school ID required for college students). For reservations, call (352) 236-2274 or visit www.ocalacivictheatre.com.